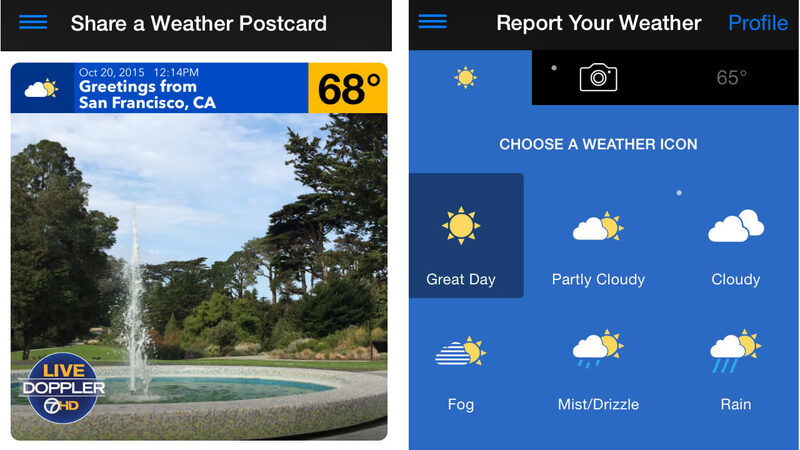 You can share weather postcards with your family and friends on social networks, by email and text. 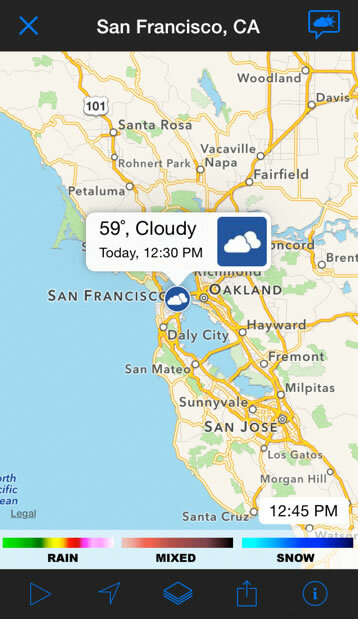 Click on the main menu in the upper left, and then select "Share a Weather Postcard." Next, choose a photo (either take one or select one from the library) and then add a caption (These captions are built-in as options. You can't write your own.) Branding and temperature information is added automatically. 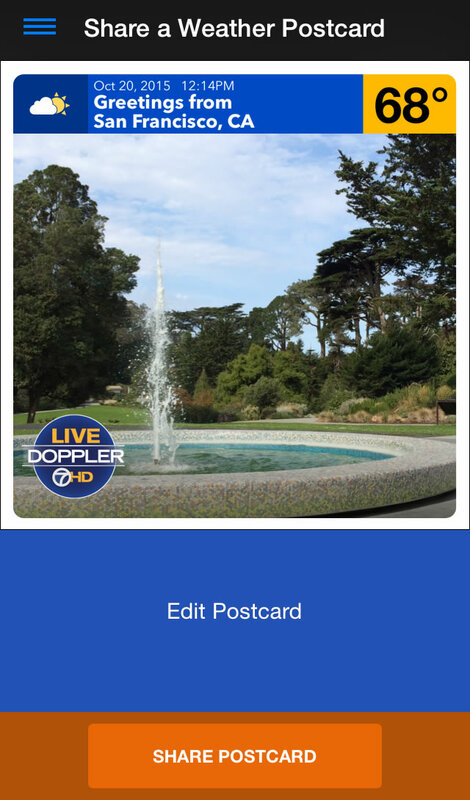 Once that's completed, you just press "Share Postcard" to post to social media, text or email. While using the app in current location mode, look for the little message symbol in the upper right corner. 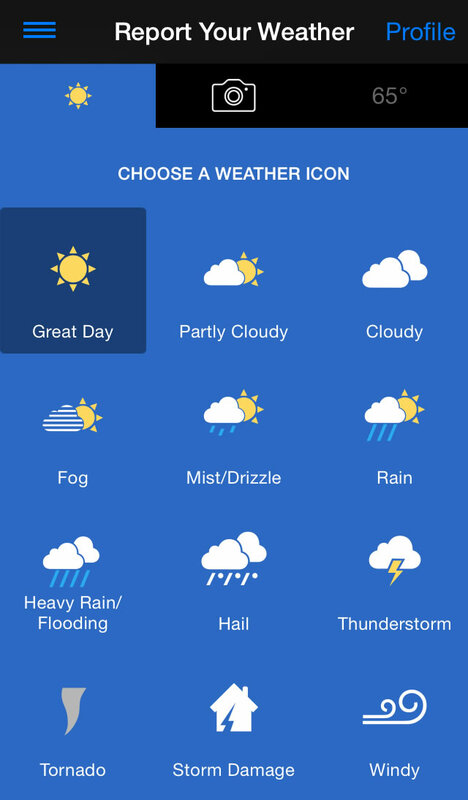 Once you click the icon, you are taken to the report your weather screen. Pick a condition, change the temperature if needed, and then choose a photo/video to submit if you have one (it's optional!). When you are ready, click "Submit Report." The report goes to our team for approval, and then you'll see your report on the weather app or maybe even on ABC7 News! To discover more about all of our apps, please visit abc7news.com/apps.